My kids have a ton of clothes, and the reason is because they grow out of everything so fast I find myself buying them an outfit and having it worn once or twice and suddenly it no longer fits. As terrible as it sounds it is an easy thing to tackle while staying on budget. If I was to purchase all of their clothing brand new I would be broke all the time but thanks to Perfect Threads parents can relax knowing they can keep their kids closets full of brand name clothing for very little cash. That is just one of the reasons Perfect Threads is so amazing, another awesome thing about them is their clean out & donation bags. They will send you bags to fill full of clothes that your little ones no longer fit or need and you can choose to take shopping credit or donate the clothing to a worthy charity! They are now buying and selling like-new Lego. 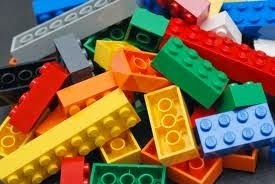 For the entire month of May you can receive cash paid via Paypal for any Lego you send in! So if you have a large amount of Lego just sitting around collecting dust cash in on that gold mine and collect top dollar from Perfect Threads! You know that great feeling when you score an amazing deal and feel just overwhelmingly giddy over your great sense of frugality, well with Perfect Threads Bargain Boxes you can get that feeling over and over. In a Bargain Box you will receive high quality outfits for a ridiculous price that will make you want to buy 2 or 3 at a time. The price you pay for one Bargain Box is the price you end up paying for one article of clothing at any other store. This is a very popular item for a very good reason! Check them out fast before you miss a great deal on a whole new wardrobe for your little munchkin! For being one of my magnificent readers I am lucky enough to be able to give you an exclusive %20 off discount coupon to use at the checkout of www.perfectthreads.ca use code MANDY20 and try one of the most amazing clothing sites ever! You have nothing to lose and everything to gain on this one!